Mobile Legends: Bang Bang is a multiplayer online battle arena (MOBA) game which is played between teams that are made up of five members respectively. The goal of the game is to destroy your enemy’s base while you protect your own base from opponent’s attack. Each five members are represented by an avatar or a hero who will be summoned in the battlefield to fight. If you are an avid player of this game, you may want to know how to record Mobile Legends so that you can share your tactics and strategies with other people. However, the app does not have a button that allows you to capture your gameplay. Just take it easy! Here are the programs that can help you through. Since there are fewer applications that work on iOS devices, it’s harder to find a compatible screen recorder. 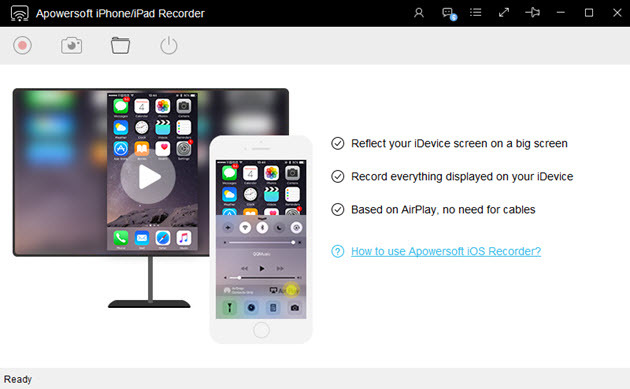 Fortunately, there is Apowersoft iPhone/iPad recorder. This application streams music, videos, games, and other screen activities on any iOS devices to computer. Moreover, it can capture audio and video from your iPhone or iPad. It produces a clear video output in multiple formats: MP4, WMV, AVI, MPEG, VOB and more. Also, this application provides choices of what audio source you are going to record. So in the event that you want to add commentary to your gameplay, you can choose to record audio from both microphone and system sound. In terms of compatibility, the app can be downloaded on Windows and Mac PC and functions on iOS with AirPlay Mirroring function. Make sure that your device and computer are connected to the same Wi-Fi network. Run the program and configure some settings. Click on the three horizontal lines on the left corner of the app to open Menu. From there, click on “Options” to do settings as per preference. On your iPhone, swipe up to open Control Center. Tap on “AirPlay” button and then hit “Apowersoft[computer’s name]” to cast your device. Open Mobile Legends on your iOS device and then hit the red “Record” button. Once done, press the “Stop” button and your file will be saved automatically to your computer. Apowersoft Screen Recorder is available on the Google Play Store and is a very popular screen recording program. You can capture games and other activities on your Android screen smoothly. Also, you can insert your own footage and do live comments while you’re capturing videos. When it comes to output, it gives a satisfactory high-definition video that is perfect for sharing. As of the moment, the app is available on Android running 5.0 and above. 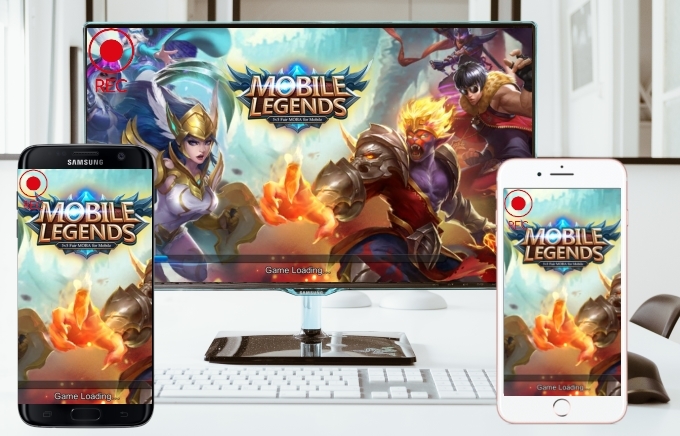 If you want to record Mobile Legends video using this app, refer to the simple guide below. Search for Apowersoft Screen Recorder on the Google Play Store and install it. Open the program and then tap the three horizontal lines and then select “Settings”. Configure the resolution, bit-rate, frame rate, orientation, and other settings. You can toggle the overlay icon on for easy access. 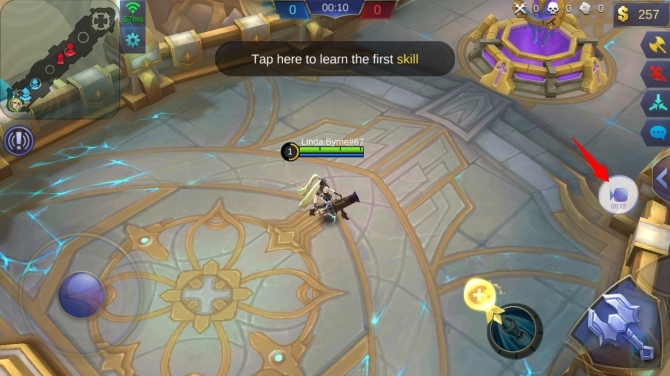 Open Mobile Legends on your Android and tap the “Record” button to start recording. You can press the “Pause” button to pause your recording and resume it later. Once done, hit the “Stop” button to save your video. Are you feeling bad while playing Mobile Legends on your mobile device with a small screen? Well, you can play the game on your computer alternatively. But you won’t be able to run Mobile Legends on your PC directly. Thus, you need to use Android emulators like BlueStacks, Andy, and Genymotion. Once you run these emulators, you’ll be able to successfully launch your gameplay on PC. To record your games, you may check out the recommended free tool below. 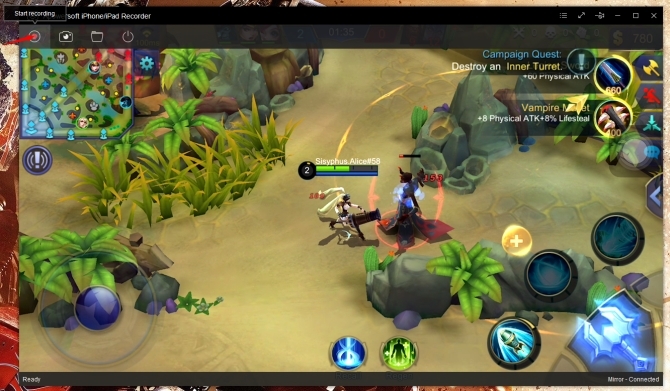 The most practical way to record Mobile Legends on computer is using ShowMore. It is a free web-based application that lets you record activities on your computer screen. You can use this application to record your video calls and meetings, games, and other tasks you are performing on your PC. It also allows you to record your audio from both system and microphone. Thus, you can use it to insert your live voice-over. In addition to this, you can access your web cam and capture it together with your screen activity. However, since it’s a web-based application, you’ll need internet connection to use it. So, in case you don’t have access to the internet, you may use the desktop screen recorder. Another excellent Mobile Legends recorder for PC is Apowersoft Screen Recorder Pro. It is designed for Windows and Mac OS. 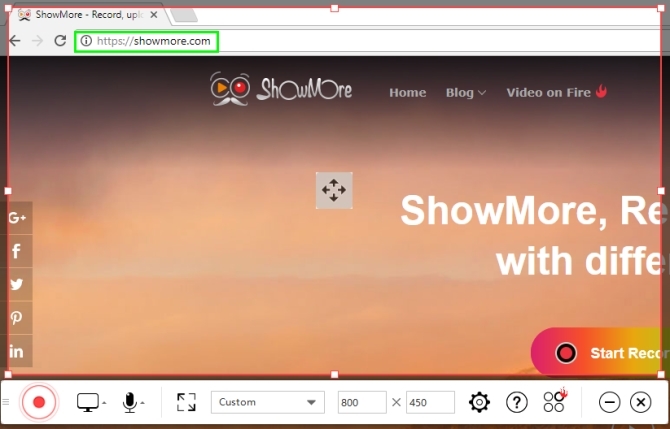 Similar to ShowMore, it can capture video and audio from your computer screen. You may record your microphone and web cam too. This app supports multiple recording modes including full screen, region, around mouse, only audio, etc. Aside from this, it has a built-in editor which you can use to trim unnecessary parts of recorded video. In order to make the best out of playing Mobile Legends, consider the tips and tricks listed. Log in to your account daily. Doing so will give you 2 chests which contain useful items like battle point (BP), hero ticket and emblems. Take time in learning about capabilities of the characters. As the game progresses, you should know the strengths and weaknesses of your avatar. Focus on destroying towers and don’t take too much of your time killing your enemies. Coordinate with your members during team fights. Communicate effectively with your teammates.